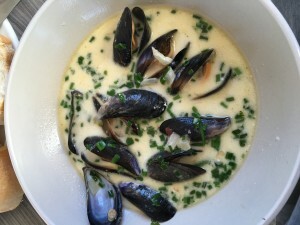 Wash the mussels under plenty of cold, running water. Discard any open ones that won’t close when lightly squeezed or knocked on the work top. Pull out the tough, fibrous beards protruding from between the tightly closed shells and then knock off any barnacles with a knife. Give the mussels another quick rinse to remove any little pieces of shell. Directly over the coals in a cast iron pan with lid add the butter & melt. Add the Garlic & Onions – soften these & brown them. You may need to move the pan to the indirect side of the grill at this point to prevent them browning too quickly or burning. We want a nice almost caramelisation of these. 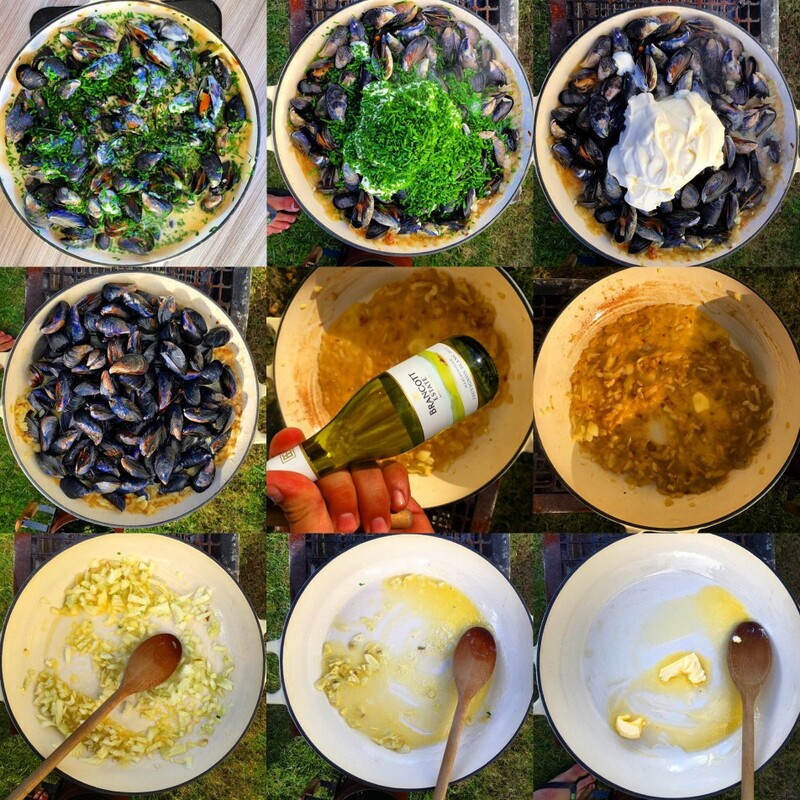 Bring back to the heat & add the White Wine, chuck in the mussels & put the lid on to steam. Let them steam for 3-5 minutes giving the pan a good shake every now & again. Add the Crème Fraîche & Chives put the lid on & give another shake. Bring them off the heat & serve. Spoon into warm bowls with a lush warm crusty bread roll.